I love Harry Potter, although I fear I can’t keep up in conversations with the most ardent fans. Nonetheless, I am excited about the next movie. 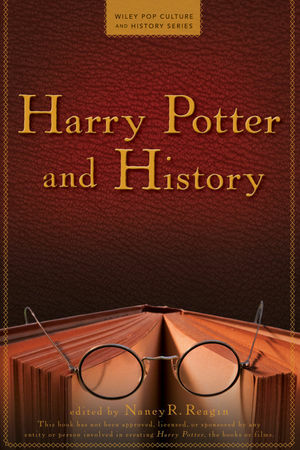 And I can’t wait to read this new book on Harry Potter and History, which was edited by Nancy Reagin, a professor of history and women’s and gender studies at Pace University. “Harry Potter lives in a world that is both magical and historical. Hogwarts pupils ride an old-fashioned steam train to school, notes are taken on parchment with quill pens, and Muggle legends come to life in the form of werewolves, witches, and magical spells. This book is the first to explore the real history in which Harry’s world is rooted. 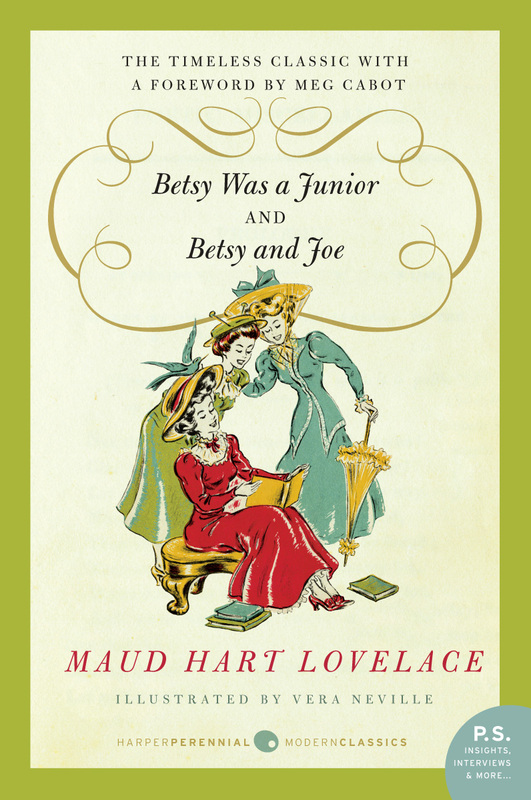 It was a joy to read Betsy was a Junior for the Maud Hart Lovelace Reading Challenge. It may be my favorite of the three I have read (the other two being Heaven to Betsy and Betsy in Spite of Herself). I may feel that way less because it is a better book, however, than the fact that the more I know Betsy and her crowd the more I like them. Maud Hart Lovelace’s attention to detail really makes these books sing. For some reason, the line “Petticoats this year were sheath-fitting to the knees, then foamed out into lace” really struck me. I had always lumped petticoats into some sort of of uniform old-fashioned garment–and thinking about them changing styles year by year really brought me into the Betsy’s room as she and Tib prepared for the dance. The girls always have so much fun preparing for these events–even though they love boys, their friendships are more important to them. Just as Mr. Big said to Miranda, Charlotte, and Samantha, before he went off the get Carrie in Paris. The descriptions of food always make me hungry. My favorite in this volume might have been the menu for the junior-senior dance, with its “highly intellectual flavor” thanks to Joe. I would also love to have a peach pecan sundae at Heinz or a Domestic Science roast chicken. And of course one of Mr. Ray’s onion sandwiches. Tony’s dark turn in this book surprised me–I wasn’t expecting that one of Betsy’s friends would take to hanging out in pool halls, coming to school drunk and hanging around with “perfectly awful girls.” But that, and Julia’s struggles with a sorority off at the U and her longing to go to Europe to study singing, gave the book a depth I liked. Even though Betsy, so far, is so focused on her friends and family in Deep Valley, the rest of the world is seeping in. I can’t wait to read the rest of the books. While I am anxious to see how Betsy’s last year in high school turns out, I also really want to read Carney’s House Party. My great grandmother went to Vassar, about 10 years before Carney would have been there. I recently found a trove of letters between my grandmother and her classmates from the 1960s. Vassar was organizing its centennial, and my grandmother was trying to make sure that 100% of her class donated money. The letters are fascinating, giving a detailed portrait of the women who had graduated from a women’s college at the beginning of the century. So I want to see how Carney liked the school. I’m looking forward to reading the other participant’s experiences. And thanks to A Library a Hospital for the Mind for hosting.